It was a perfect day to fire up the grill for the first time this spring! Our local supermarket had a great sale on chicken breasts and legs so I stocked up! Some went right into the freezer but these were perfect for this recipe. Marinading them while the grill was getting hot and then basting them during the last ten minutes added a boost of flavor! 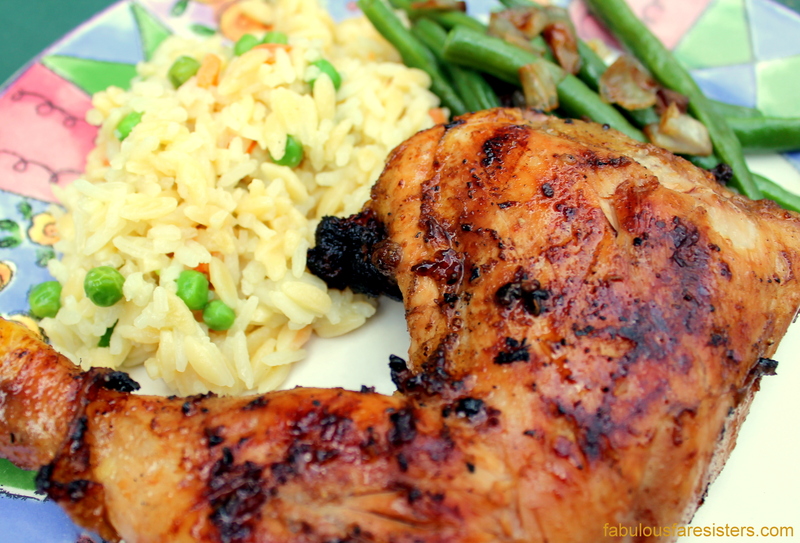 The rice pilaf and string beans can be prepared while the chicken is grilling. Since the chicken is on the bone it takes about 45-60 minutes to grill so enjoy the time with a glass of red wine! Now let’s get cooking! Remove the skin from the chicken and place in a large dish. In a small bowl, whisk together 2 tablespoons soy sauce, 2 tablespoons fresh lemon juice, 1/2 teaspoon ground ginger, 2 tablespoons honey, the olive oil, salt & pepper. Pour over chicken and allow to marinate until the grill is ready. In the same small bowl, whisk the remaining soy sauce, lemon juice, ginger & honey to use for basting. 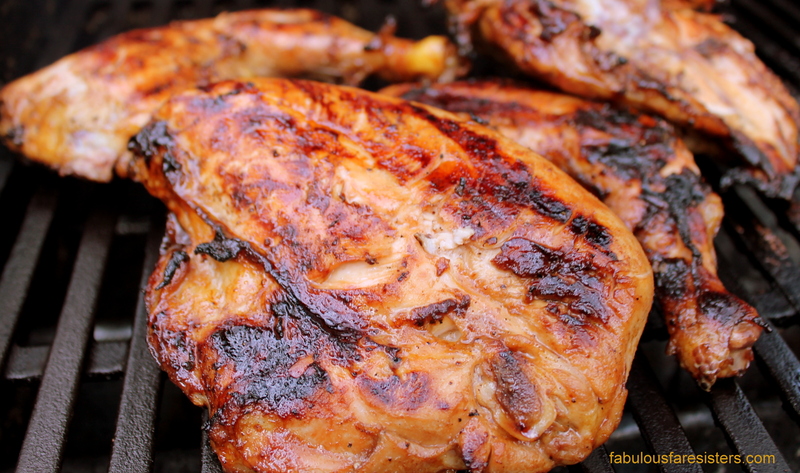 When grill is nice and hot, grill chicken: Place chicken on direct heat for 8 minutes on each side, then move to indirect heat for 35-45 minutes until chicken is cooked through but still tender (direct heat is directly over a flame, indirect heat is not); flipping chicken over occasionally. Baste the chicken during the last ten minutes of grilling. In a medium pan, heat the butter and olive oil until hot. Add the onion, garlic and carrots and sauté for 5 minutes until tender. Add the orzo and rice and sauté another 3 minutes. Add the chicken stock; bring to a boil, reduce heat, cover and simmer for 10 minutes. Add the frozen peas and simmer an additional 5 minutes until rice and orzo are tender and stock has been absorbed. Place green beans in a small saucepan and cover with water. 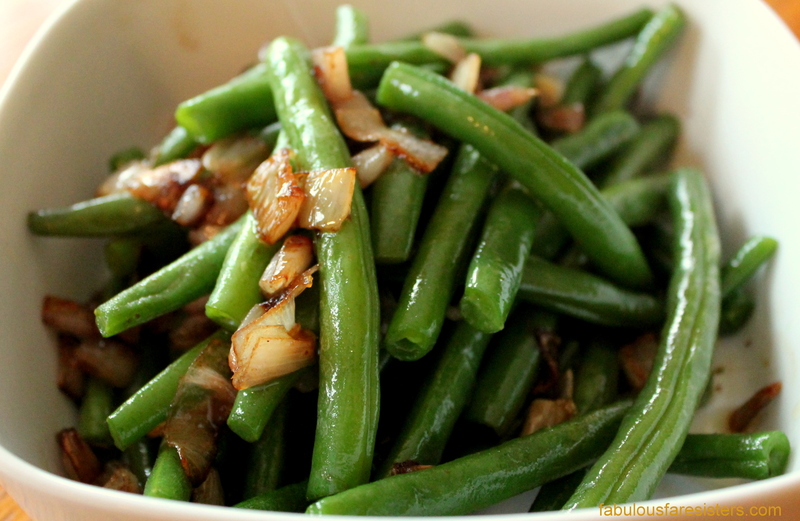 Bring to a boil, sprinkle with a little salt, and boil about 3 minutes until green beans are crisp-tender. Drain and set aside. In a medium skillet, heat butter and olive oil. Add shallots and sauté 5-8 minutes until lightly browned. Toss in the green beans and sauté a few minutes more. Season with salt and pepper to taste. Your photos make me a) want to cook these dishes b) hungry! It seems I love everything here, chicken, pilaf and beans!!! Looks mouthwatering! We love BBQ season too! 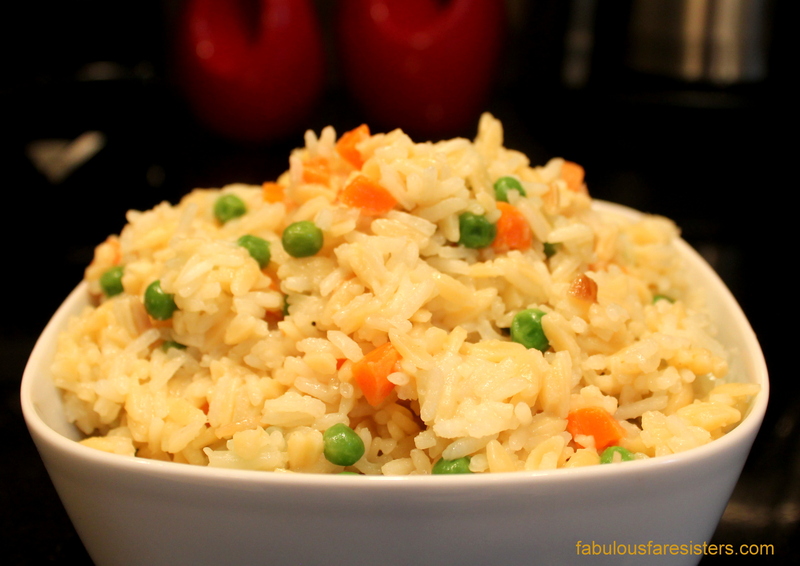 And that rice pilaf is so easy and very very tasty! Looks delicious, thank you for following and scrolling through your site is making me hungry the photo’s are beautiful and the food sounds delicious. I scrolled through your site all the way back to the beginning! I’m loving everything you’ve made! Awesome post and amazing recipe!